I made this card a few months back for a team demo and haven’t been able to give it away yet! I don’t really like bees flying around me but on paper, they are sweet. Adding a Mini Embroidery Hoop helps them be the focal point! Touches of Texture stamp set is one of those sets that falls flat in black and white but once you start adding color to the stamps, it’s magic! I used the splatter stamp in soft sky for a light background. 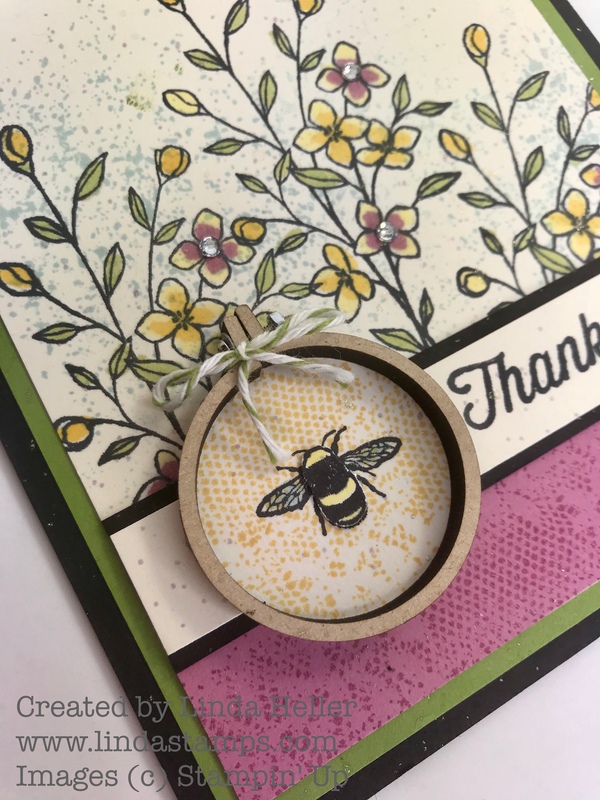 The long textured flower stamp looked like honeycomb to me so I stamped that in curry behind the bee in the hoop. I added the Stampin’ Blends markers in Daffodil and just a touch of the Light Razzleberry. It turned into a Sweet Sugarplum color so I added some of that at the bottom of my card to help add some pop. 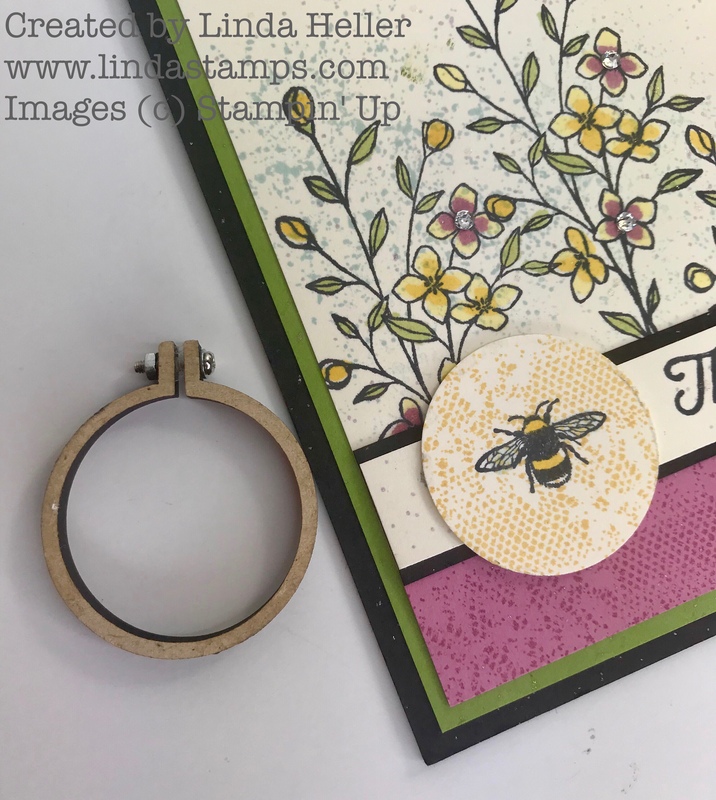 To add the hoop, I punched my bee and stuck the hoop right onto a Sizzix Adhesive sheet. This stuff holds so well! 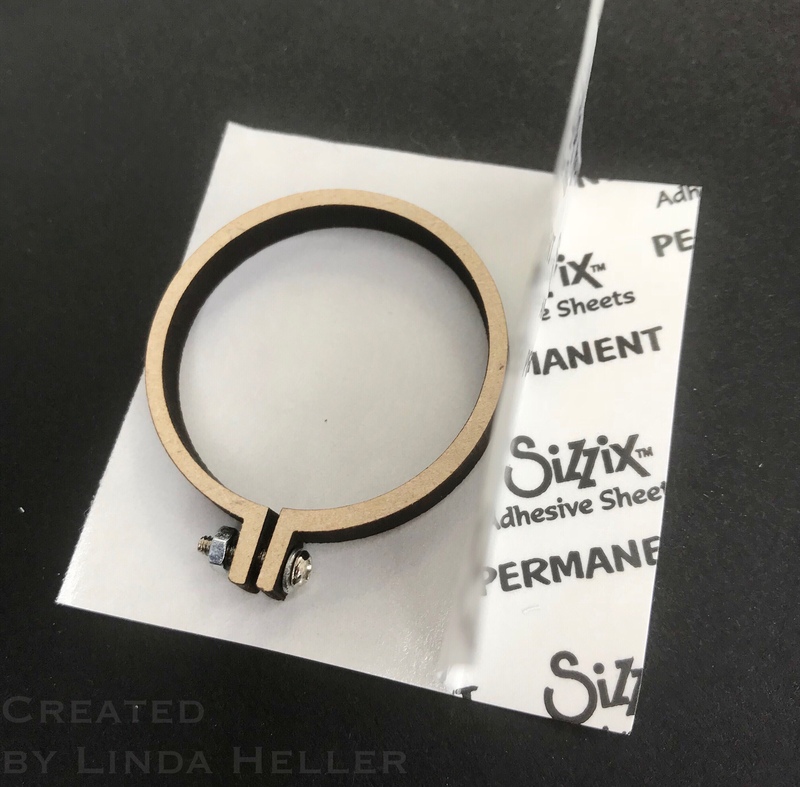 You may get some strings of adhesive on your hoop but just rub off any extra before adding over the stamped circle. I hope you find time to stamp this week! The Retiring List will be out on April 9th at 1 pm MST! (that 3 pm for those eastern time stampers) I’ll be back here then with all good info! I’m heading to Milwaulkee for our Stampin’ Up mini convention this weekend where I get to see the new Annual catalog! Be sure to follow me on my Stamping School Facebook page for updates! Thanks, Karen! I love the colors too! I agree, I think I’ll borrow the idea and use it as a birthday card. Thanks Linda for doing all the hard work and making it fun for us. Have a great day! !